This poster was part of a volunteer project I worked on in my community for London Railway Heritage Day. 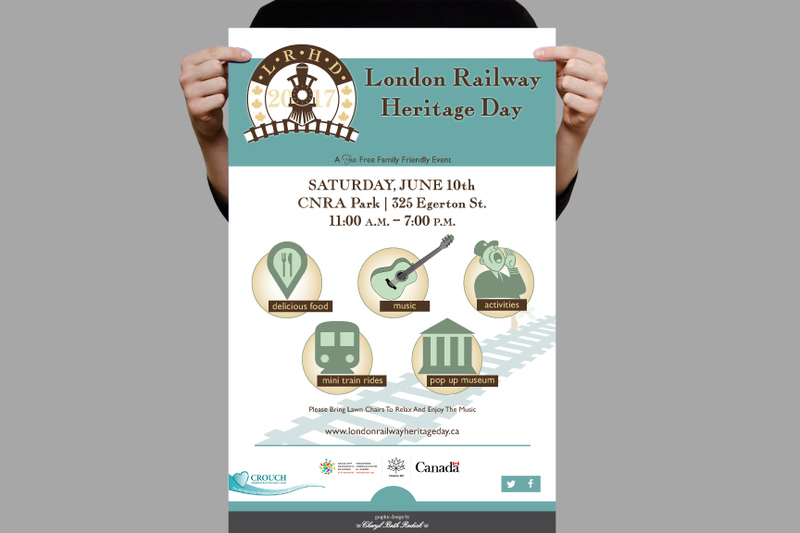 An event to celebrate the history and legacy of the railway in London and all of Canada. The event took place at a local park (CNRA) in London, Ontario during June of 2017.